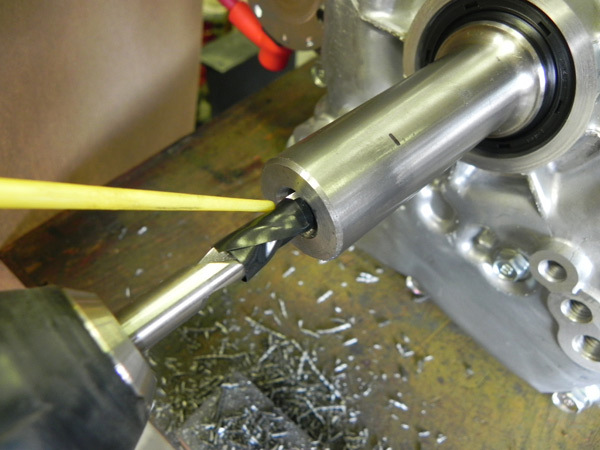 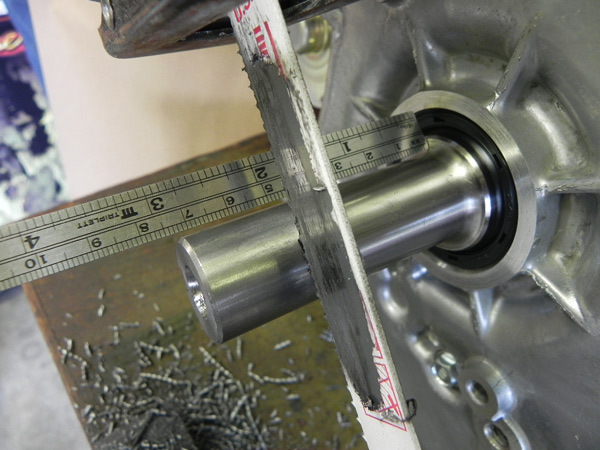 Using a 8.5mm drill bit, mark bit with tape to a drill depth of 2 5/16"
Drill crankshaft thead hole to tape mark on drill bit. 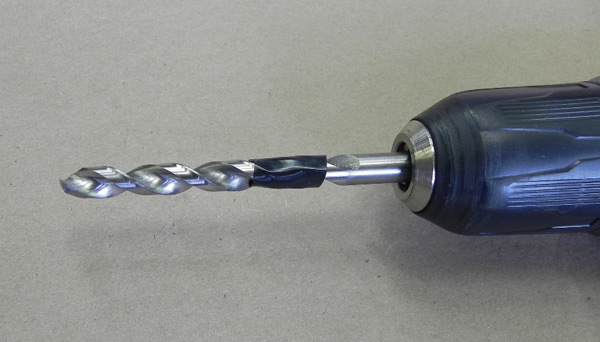 Note: Must use a 3 flute tap. 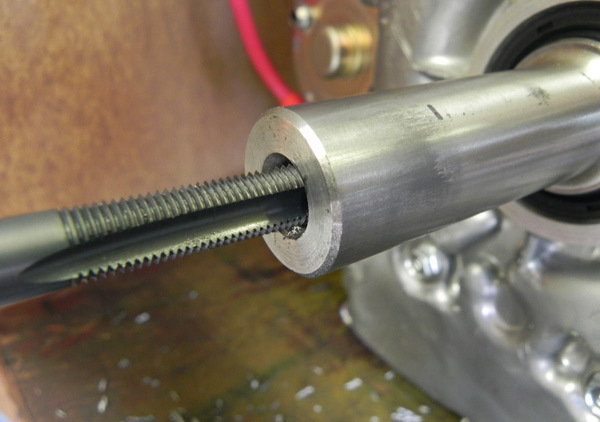 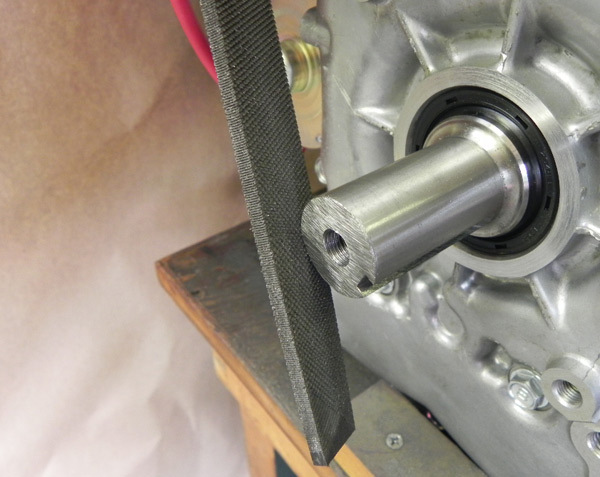 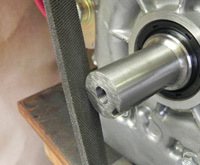 Afer crank is cut off, make sure threads are 1" deep into crankshaft. File edges of crankshaft and file keyway so edges are smooth.